The First Universal Automatic Eyepiece Wheel & the First Parfocal AutoFocus in AME 2016 at Schwenningen-Willingen, Germany. For the occasion, AME astro-expo 2016 in Schwenningen-Willingen-Germany-E.U., the Barcelona-Spain-E.U. 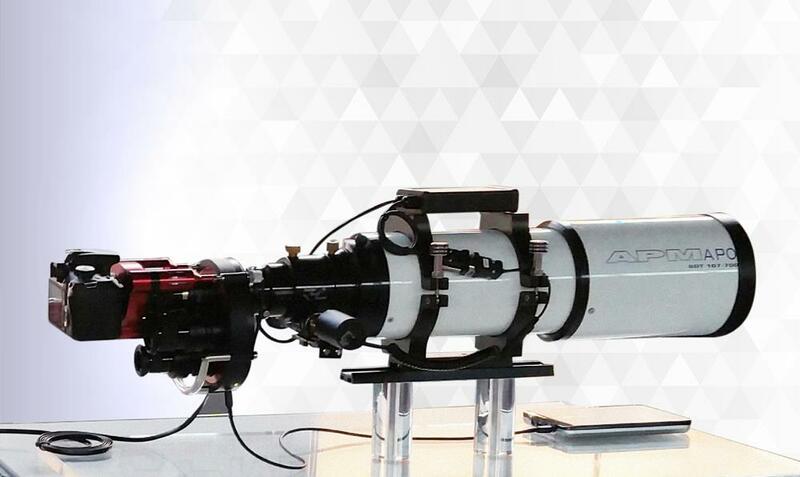 based corporation AstronSCIENTIFIC in collaboration with its Authorized Dealer, the prestigious firm APM TELESCOPES based in Saarbruecken-Germany-E.U., will present the world premiere of the newest accessory for ROTARION users. The ROTARION AutoFocus is the first truly and universal parfocal autofocus system compatible with all 1,25” eyepieces and to be operated automatically by the patented ROTARION Eyepiece Wheel, suitable both for visual and imaging users.